Thank you for your help in helping me decide which book cover to choose for my new book which will hopefully be ready for xmas. Below is the book cover that had the most votes, so I will run with this one. As a thank you for helping me, I would like to offer you a FREE copy of the book in the ebook version. All you have to do is add your name and email address below the book cover and soon as the book is ready I will email you the ebook version as a thank you. 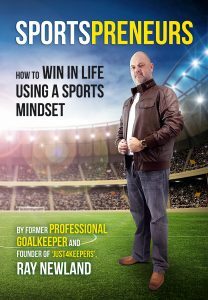 If you know me, you know my passion is helping goalkeepers (children) so if you have a child, all I ask is you teach them some of the success traits I teach within my book as this will help them in life!